Selecting a gift for someone does not have to be difficult. Just choose a knife in the "For Sale Now" section. You can also add some custom blade engraving to any knife. Stainless steel knives can be engraved with text. 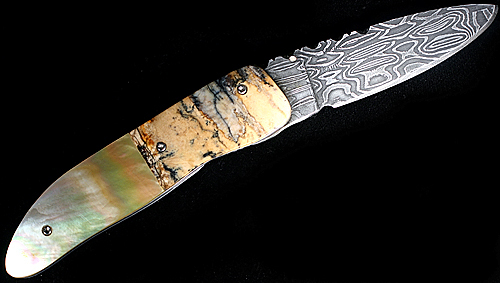 Damascus steel knives can only be engraved with initials. To help you with your gift selection, please consider a knife from one of these general categories: 1) Gentlemen Folders and 2) Drop Point Hunting Knives.